Here are 450+ job titles, organized by field. They’re grouped by industry. You can jump to marketing job titles, sales titles, or any other job positions, fast. 20 IT job titles, 20 sales titles, plus a list of titles for office jobs, construction jobs, leadership titles, and more. What “current title” means on a job application and how to write yours. Job positions lists for customer service, business owners, management and executive business titles. Answers to questions like what is a job title and what does job function mean. In the work experience section of your resume, you will list job titles of the positions you've held in the past. Read on to see the lists of more than 400 job titles! What Is a Job Title? A job title usually describes the duties of the role and the level of the position. Every field uses similar terms for job titles. For managerial roles this could be director, manager, supervisor, or chief. Looking for specific job positions like marketing job titles, IT, sales, construction, or leadership titles? Click any link below to jump to a company titles list in this article. Job function is like job title. It means the tasks and responsibilities held by someone in that job. Some job titles describe their function perfectly, while others need more explanation to describe their duties. Need a resume example for a job title? We’ve got job-getting resume samples for all top job positions in this guide. More than 450 job positions. Business titles, sales titles, and all the company titles anyone could need. The job title examples are grouped by category like IT Job Titles or Construction Business Titles to make them easier to find. What Does Title Mean on an Application? Title on an application almost always means your current or most recent job title. Are you a marketing manager? IT professional? Sales associate? In very rare cases it can mean Ms. or Mr., but it usually refers to your career. Business titles are often the same across all industries. A manufacturing firm and a marketing firm can both have managers, admin assistants, receptionists, and other types of business jobs. Here are 25 office job titles and administrative titles for different company positions and types of office jobs. What is a Business Title? A business title is a job title in a corporation or organization. It displays the employee’s rank, duties, and responsibilities. Business titles can be everything from CEO to receptionist and everything in between. C-Level business titles (or C-Suite job positions) are top leadership titles. Want more executive job titles? Some companies to invent their own. “Chief Environmental Officer” and “Chief Talent Officer” are legitimate upper management titles. C-Suite job positions aren’t the only fish in the business sea. Here are 20 management job titles. What Does Supervisor Title Mean? Someone with a supervisor’s title is a leader between the manager and the front-line employee. They’re also known as “middle management.” Five teams of employees can have five supervisors and a single manager. IT jobs are among the most lucrative job positions. They pay anywhere from $60,000 to $200,000 a year. The 25 types of computer jobs in the IT jobs list below are the most common. Sales jobs include all company positions where someone sells something. They range from entry-level sales jobs like cashier all the way up to Director of Sales. Current title on a job application means, “what job are you doing now?” Are you a chef, nurse, fireman, or retail manager? The construction industry employs 6.88 million workers. Most fit one of the 20 types of construction jobs below. Heavy hangs the head that wears the crown. Here are ten business owner titles from the top of the food chain. Most companies have a similar structure. In any industry, big organizations have a board of directors. Those directors hire C-Suite employees like the CEO and CFO. Both are accountable to the shareholders, who fund the company. From there, all the other roles in a company follow. Every company needs to talk to its customers. These ten job positions fill that vital role. Operations make sure a business runs efficiently. These ten operations job titles do that at different levels of a company. Cash is king. Here are 20 job titles in the accounting/finance world. These 20 engineering job positions turn ideas into reality. Engineers apply math and science to create efficient solutions to technical problems. Looking for weird business titles? Some companies have fun with company positions. Here are a few from real life. Just be careful with those: they look great on a LinkedIn profile, but they also hide that very profile from recruiters! Few HR pros would spend time brainstorming all the novelty and weird job titles out there. Social media ninjas simply don’t get looked up! The truth is out there. Researchers dig it up, and analysts process it. These 10 job positions crunch the data. A teacher’s work is never done. Teachers help develop young minds from preschool all the way through high school and higher education. Artists can do everything from sculpting to storytelling to taking professional photographs. These 15 artist job titles cover the most popular positions. Healthcare is one of the fastest growing fields, with 13 million jobs in the U.S. There are jobs in hospitals, clinics, online, and even in fitness centers. Here’s a medical jobs list with 20 common titles. The hospitality industry includes hotels, cruise ships, casinos, and resorts. The 30 hospitality job positions below keep travel and vacation comfy. The food service industry is part of the hospitality field. See the 10 food service and restaurant business positions below. The restaurant industry has front-line staff, supervisors, managers, and executive job positions just like any other industry. The job position of a scientist doesn’t always reflect her college degree. A sociologist might be a marketing manager. A biologist could work as a seafood buyer. Counselors may help people cope with grief, addiction, or help plan for the future. Counseling business titles can describe jobs in clinics, hospitals, or large corporations. Cosmetologists use nail service, hair styling, makeup application, and other talents to help clients look their best. Here are ten cosmetology job openings. Here are ten job titles that need more brawn than brains. These 10 jobs require a CDL or driver’s license. Driving job positions get people or materials from point A to point B. These 19 job positions come with zero salary, but a big inner reward. Volunteer business titles look great on any resume. Here are 30 job positions that can’t be pigeonholed into a big category. Security guard, attorney, shelf-stocker, and 27 more. Marketing job titles, business, office, and IT job positions. Leadership titles like C-Suite, management, and other positions in a company. What “current title” means on a job application and answers to more questions. A professional resume header isn't just a good idea. It prevents hiring software from passing incorrect information to the manager. 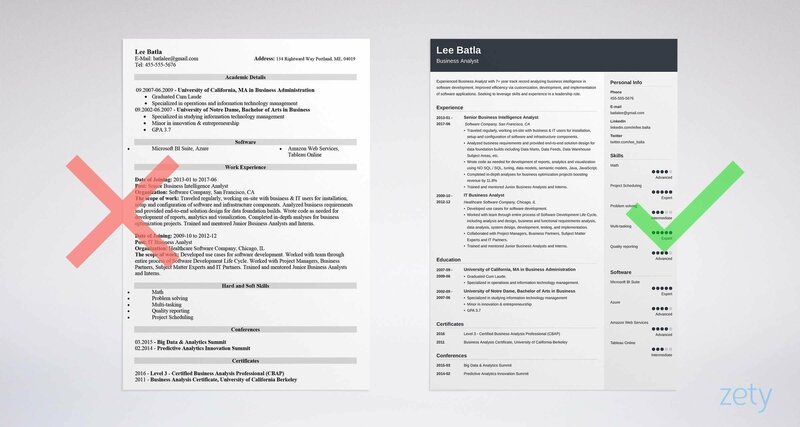 Learn how to head a resume and see example resume headings that stand out. Use our professional resume builder to make your resume header fast.